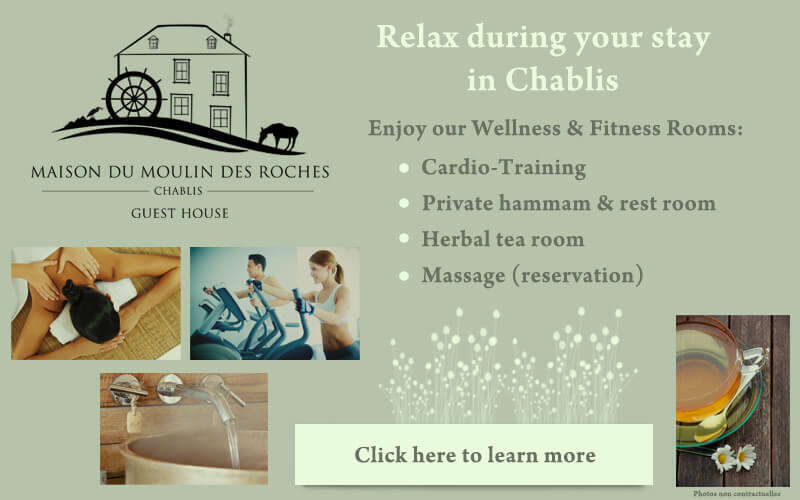 ... in Chablis: Every Sunday morning there is a market in the heart of this Burgundian village. 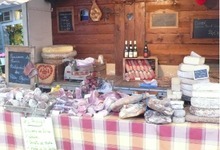 All local products are available at this very popular market of the region. 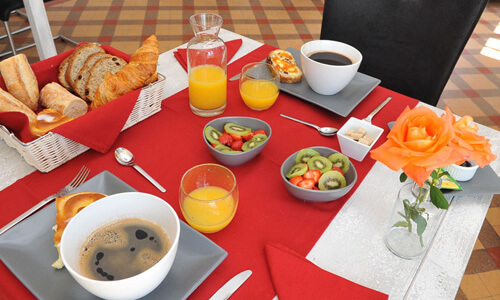 You will also find many restaurants that will allow you to enjoy specialities. 1 Rue du Maréchal de Lattre de Tassigny 89800 Chablis. Tel: +33 386 428 080. 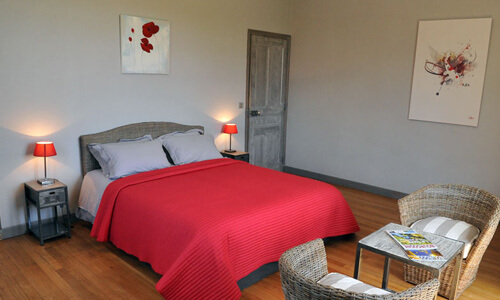 ... 'Pontigny' is 14 kms away: Visit the sleek, white walls of the Abbey. 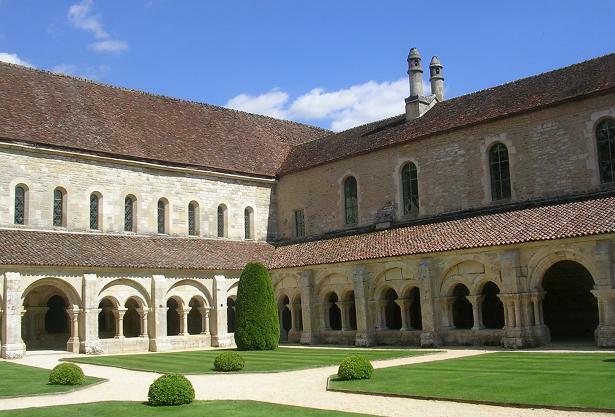 It is a former Cistercian monastery founded in 1114. 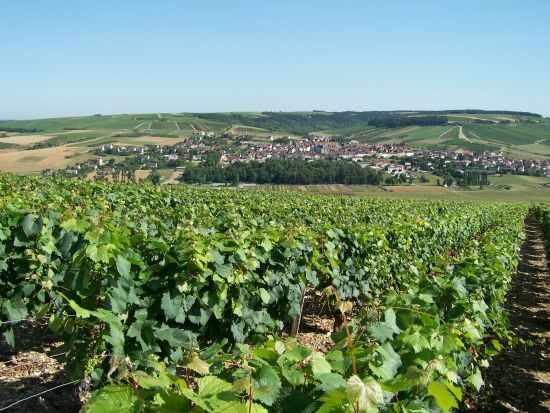 ... 15 km away: Discover three local wine villages: 'Saint-Bris-le-Vineux'(10 km), 'Irancy' (18 km) famous for its red wine and 'Chitry-le-Fort' (12 km). 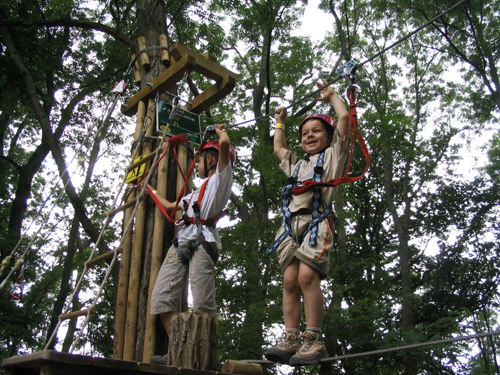 ...'Auxerre' is 17 kms away: Discover the 'Tree Adventure' in the forest du Thureau: An original and safe activity for you and your children. 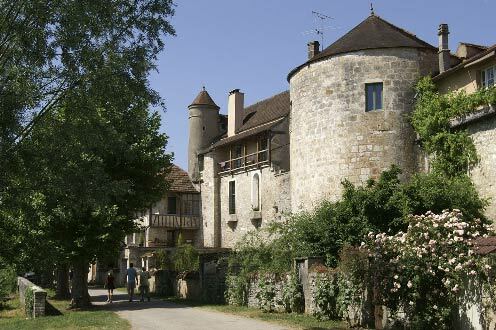 ... 'Noyers s/Serein' is 23 kms away : Discover a beautiful medieval village preserved as part of the 10 most beautiful villages in France. 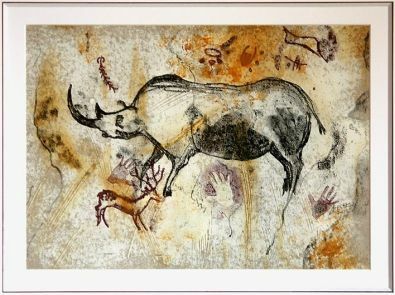 ... 'Arcy s/Cure' is 30 kms away : Enter the caves of Arcy, a center of prehistoric art with cave paintings of the oldest in the world (30 000 years). 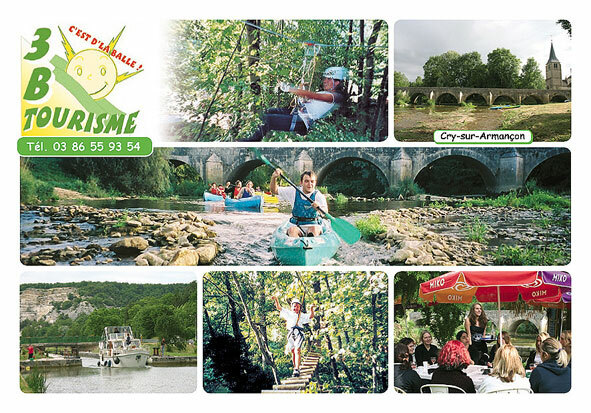 ... 'Cry' is 46 kms away: Featuring 3B: Boats - Bicycles - Branches. 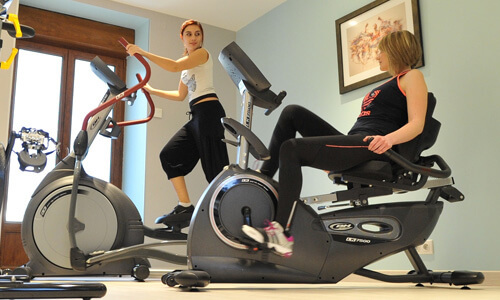 This is a leisure center near the Abbey of Fontenay. 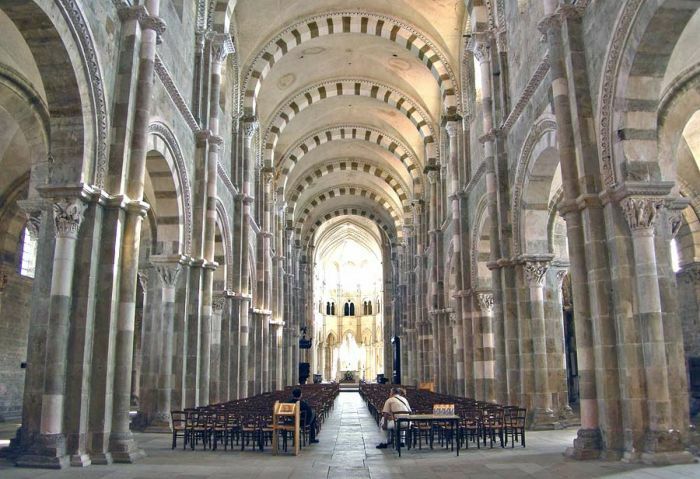 ... 'Vézelay' is 47 kms away : Visit the Basilica of St. Mary Madeleine, center of Christianity in the Middle Ages. 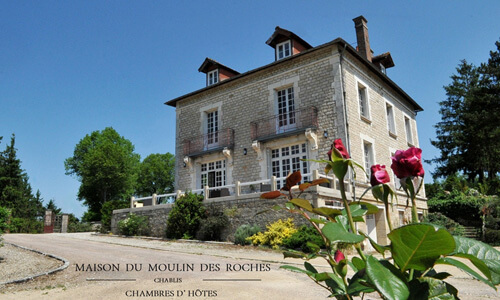 It has been listed in the UNESCO World patrimoine since 1979. This is on the pilgrimage route of Saint Jacques de Compostela. 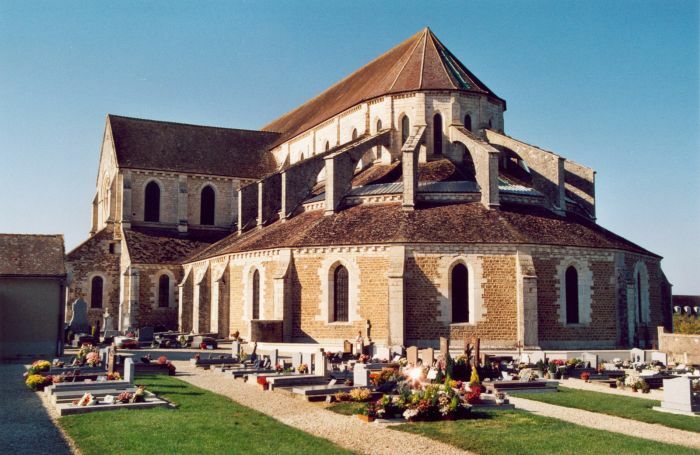 ... 'Marmagne' is 58 kms away (Côte d'Or, 21) : The former Cistercian Abbey of Fontenay, a masterpiece of Romanesque Art. Also included in the UNESCO heritage. 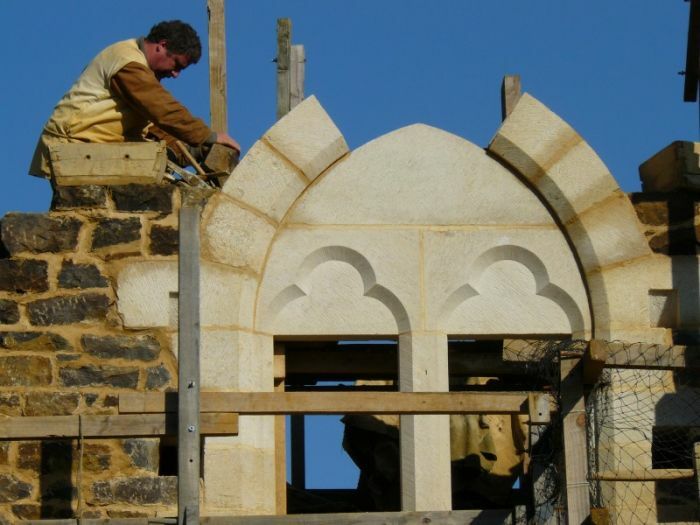 ... 'Treigny' is 65 kms away (Côte d'Or, 21) : Enter the medieval site of Guédelon where 50 workers are building a castle with technology and materials from the Middle Ages. 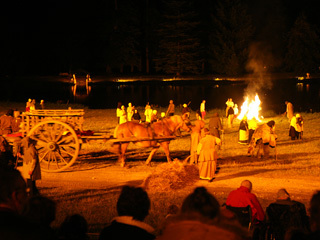 ... 'Saint-Fargeau' is 66 kms away: Attend the Saint-Fargeau show, involving more than 600 actors and 60 horsemen. This is one of the best pageants in Europe.